CMP Products has increased capacity at its UK production facility, following the installation of additional state of the art robots within its automated cable cleat line. Demand for CMP Products’ range of cable cleats is expanding at such a rate that the company’s innovation and automation team has been tasked with doubling output by the end of the year; much sooner than had been expected. This has led to the installation of three new Fanuc robots in CMP’s metal forming line and two new SEPRO robots in its mould-shop and this new set-up will meet the new volume requirements without compromise to quality or safety. 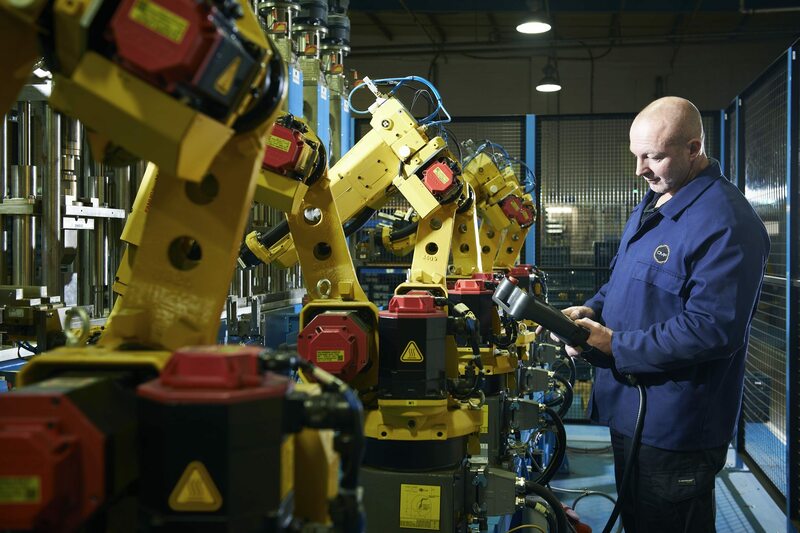 In line with this expansion, the company has devised a bespoke, automated welding machine, which will reduce cycle times by more than 50% and provide CMP with greater flexibility. “Higher than expected orders from around the world have accelerated our plans to increase capacity. It has been a big ask of our team to double output so quickly, but we have a skilled, dedicated team that are more than up to meeting the challenge. “Demand for cable cleats is increasing as design engineers look to make electrical installations as safe as possible – and with CMP’s reputation for quality and safety we are seeing the direct results in our production figures.